Red Sox Nation is growing! Here are your favorite pet fans - whether furry, feathered, or inside a shell. 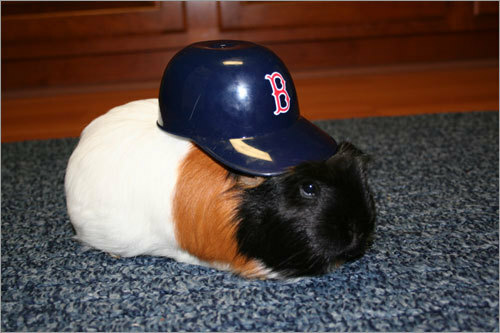 He may not be a dog, but Henry the Guinea Pig knows how to support the Sox. This picture was snapped in the Kitchen as Jenny dressed Henry up as a Red Sox player.